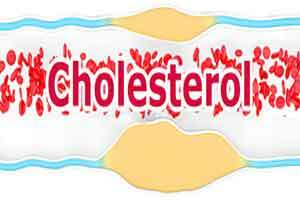 London : Traditional testing for the level of a specific component of high-density lipoprotein cholesterol (HDL-C) the “good cholesterol” may not be a better predictor of the damage or disease in the heart’s major blood vessels, says a study. Failure of drug trials to observe benefits by elevating high-density lipoprotein cholesterol (HDL-C) in the blood has raised serious doubts about HDL-C’s properties of reducing the formation of plaques that block our blood vessels and cause coronary heart disease, the researchers said. Coronary artery disease (CAD) is a condition which affects the arteries that supply the heart with blood. The findings after adjusting for age, use of statins, smoking, and other factors, showed that small, dense, protein-rich particles making up “good cholesterol” may be more protective of our blood vessels than large, buoyant cholesterol-rich particles. The more small and medium “good cholesterol” particles were found in the blood vessels, the less was the arterial calcification present. There was no association between large HDL- particles and coronary artery calcification. The association with HDL- cholesterol was weaker and inconsistent between men and women. “Our findings indicate that HDL- particles and medium-sized HDL particles are better independent markers of coronary artery disease, as reflected by coronary artery calcification, than HDL-cholesterol,” said Chobufo Ditah from Hebrew University in Jerusalem, Israel. “The study support previous reports suggesting that small dense HDL particles are protectively associated with risk of coronary heart disease,” Ditah added. For the study, published in the journal Atherosclerosis, the team recruited 274 Arabs and 230 Jews residing in Jerusalem. The team used Nuclear Magnetic Resonance (NMR) spectroscopy to identify the numbers and sizes of plasma HDL particles, and helical CT-scanning to identify calcification in their coronary arteries, reflecting the overall burden of coronary atherosclerosis. With these data in hand, they looked for associations between the concentrations and sizes of different HDL particles, and coronary artery calcification. “Based on the accumulating evidence, incorporation of medium-sized HDL particles or HDL- particles into the routine prediction of coronary heart disease risk should be considered,” noted Jeremy Kark, Professor at the Hebrew University.